New figures show that WOW air have surpassed Icelandair, Iceland's oldest airline, as the leading airline for Icelanders. 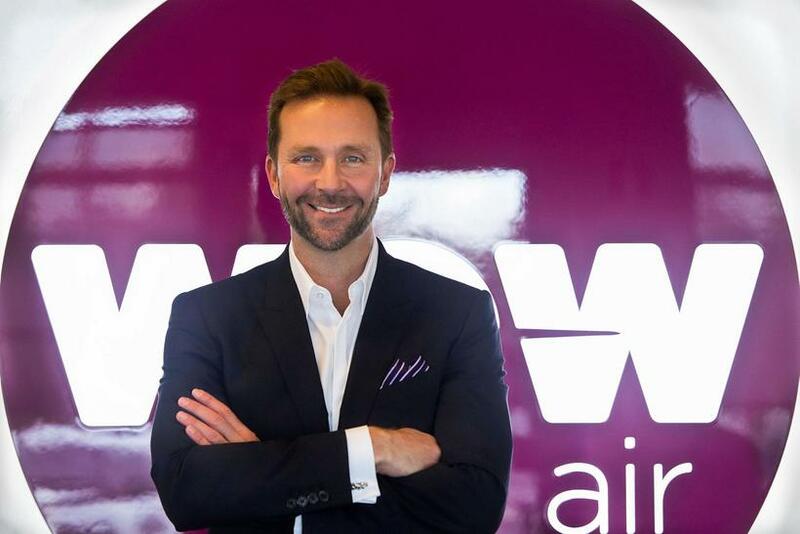 "In our mind this is quite a milestone because few people ever expected us to reach this goal," says WOW air managing director Skúli Mogensen. WOW air has made an analysis of Icelandair's investor report and WOW air statistics and data from the Icelandic Tourist Board shows that WOW air have a 38% share in the third quarter of the year 2017 of Icelanders flying to and from Keflavik International Airport while Icelandair have 34% and other airlines have 28 %. Last year over the same period of time those figures were 36 %, 37 % and 27%. "The reason that Icelanders have been positive towards our product and services is because we've really lowered flight prices," says Mogensen speaking to mbl.is. "There was obviously a market for a low cost airline in Iceland just like anywhere else in the world where they've grown and prospered." He adds that when the company started there were many negative voices towards it. "That discussion has really turned around lately and I think that these figures speak for themselves." Asked whether he believes that the gap between Icelandair and WOW air will widen he replies, "Yes, we are just at the beginning."